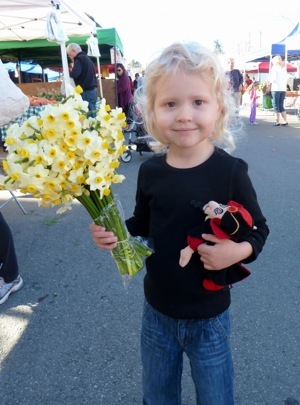 This entry was posted in Grace and tagged Menlo Park farmers market. Bookmark the permalink. Wow, she’s growing up fast. The “baby” is gone… and replaced with the little girl. Lovely! !